Activist Lawyer Prashant Bhushan has submitted a representation before the Supreme Court appointed Oversight Committee headed by former Chief Justice of India Justice RM Lodha seeking systematic changes in the structure and functioning of the MCI. Bhushan mentions in the representation that he is going to file a Writ in the Supreme Court of India for constitution of an expert committee comprising of individuals of unimpeachable integrity from both the field of Medicine and Law, to make recommendations to ensure that the MCI can be made to function transparently, non-arbitrarily and fairly, to prevent the scope for corruption and conflicts of interest, and to rationalise unnecessary regulations, so that the objects of the act and the right to health of the citizen is achieved. Bhushan alleges that MCI has not performed it’s duties as it should have and thus the standard of health of the citizen, the citizens access to doctors and medical facilities have not improved as it ought to have while the cost of healthcare has risen greatly. He has summarized Eight important reasons for MCI’s failure to properly perform its functions and how this failure has adversely affected the citizen’s right to health. The reasons include the lack of transparency in the functioning of the MCI, and arbitrary decision making process, especially in regard of permission to open new medical colleges and permission to increase admission capacity, which has led to wide scale corruption in the MCI, including many highly publicised cases. This has adversely affected the standard of medical education and the quality of healthcare professionals that the medical education system is producing, directly and adversely affecting the quality of healthcare available to the citizens and their right to health. (i) Amendments considered necessary to the memorandum of association of the BCCI and the prevalent rules and regulations for streamlining the conduct of elections to different posts/officers in the BCCI including conditions of eligibility and disqualifications, if any, for candidates wanting to contest the election for such posts including the office of the president of the BCCI. (ii) Amendments to the memorandum of association, and rules and regulation considered necessary to provide a mechanism for resolving conflict of interest should such a conflict arise despite Rule 6.2.4 prohibiting creation or holding of any commercial interest by the administrators, with particular reference to persons, who by virtue of their proficiency in the game of Cricket, were to necessarily play some role as Coaches, Managers, Commentators etc. 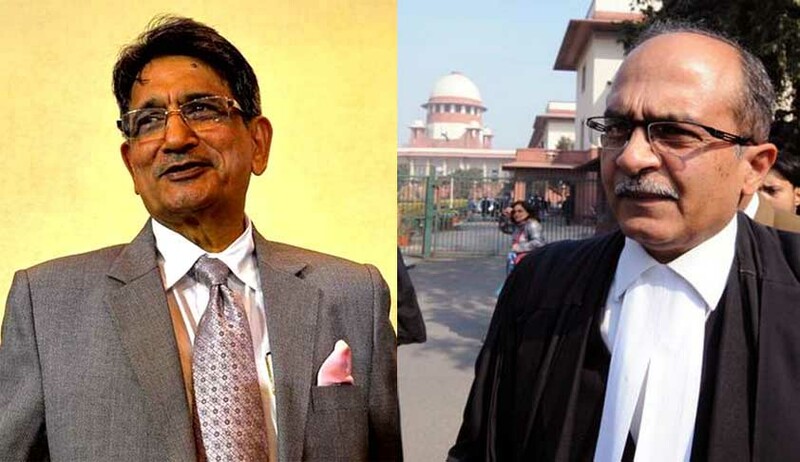 (iii) Amendment, if any, to the Memorandum of Association and the Rules and Regulations of BCCI to carry out the recommendations of the Probe Committee headed by Justice Mudgal, subject to such recommendations being found acceptable by the newly appointed Committee. - The first and foremost thing is that the inspections should be video recorded, each and every detail of the health professionals and the equipment duly recorded, and all of this put on the website so that the citizens can view it. - Conflict of interests, with members of the MCI sitting in boards of colleges whose inspections are to be done means the inspections cannot be expected to be fair. A specialised body for inspections, independent of the MCI needs to be constituted to carry out inspections transparently and fairly. - Moreover, the criteria for assessment/evaluation and approval under the Establishment of Medical College Regulations, 1999 has a heavy focus on nitty gritties of infrastructure and human resources, but no substantial evaluation of quality of teaching, training, and imparting of skills, which ought to have been there. There are also no safe guards to ensure that the original inspection report is not tampered with in the MCI office, like submission of a copy to the University concerned. The election process of MCI members needs to be reformed so that elections are held in a free, fair and transparent manner. Practices such as the postal ballot system in MCI elections need to be stopped. An independent committee/ombudsman has to be entrusted for conducting the elections of the MCI in a credible manner. In view of the observations of the Hon’ble Supreme Court in Rohilkhand Medical College and Hospital Bareilly Vs. Medical Council of India[(2013) 15 SCC 516] and in light of the fact that “The Prohibition of Unfair Practices in Technical Educational Institutions, Medical Educational Institutions and University Bill, 2010” that was introduced in parliament has subsequently lapsed, directions must be issued to prohibit and punish the charging of capitation fee, till such time as the legislative vacuum is filled by appropriate legislation. The suggestion of the Hon’ble Supreme court in MridulDhar (Minor) &Anr vs UOI &Ors [(2005) 2 SCC 65], wherein the Hon’ble court had directed that the DGHS file a report on the aspect of constitution of high-power Committee/Ombudsman to look into complaints against the MCI needs to be re-examined, since it has been 10 years and yet no high powered committee/Ombudsman has been constituted. The detailed guidelines to deal with the complaint of Professional Misconduct preferred against delinquent Doctor are required to be formulated, since the Indian Medical Council (Professional Conduct, Etiquette and Ethics) Regulations, 2002, which has been framed under section 20 A of the Indian Medical Council Act and supposed to deal with such complaint, does not prescribe for any disciplinary committee or expert committee who will examine the complaint or what will be the procedure of enquiry or, if any expert committee is formed, who will be its members whether it will have independent members of eminence and how will they be appointed. The Regulation is completely silent on these issues. Chapter VIII of the regulation provides for the punishment and disciplinary action and it simply provides that “upon receipt of any complaint of professional misconduct, the appropriate Medical Council would hold an enquiry and give opportunity to the registered medical practitioner to be heard in person or by pleader.” It does not even provide for any opportunity of hearing to the complainant in violation of the principle of natural justice which is implicit in any judicial or quasi-judicial proceedings. (i) As per Section 21 of the Act, the complaint would first go to the Disciplinary Directorate, which is headed by an officer of the ICAI (Institute for Charter Accountants of India) and has employees for making preliminary investigation into complaint. (ii) If the Director (Discipline) is of the opinion that a member is guilty of any professional or other misconduct mentioned in the First Schedule, he shall place the matter before the Board of Discipline. As per Section 21 A, the Board of Discipline consists of a person with experience in law and having knowledge of disciplinary matters and the profession, to be its presiding officer, two members one of whom shall be a member of the Council elected by the Council and the other member shall be nominated by the Central Government from amongst the persons of eminence having experience in the field of law, economics, business, finance or accountancy. (iii) If the Board of Discipline is also of the opinion that a member is guilty of any professional or other misconduct mentioned in the Second Schedule or in both the Schedule, the matter shall be placed before the Disciplinary Committee, which as per Section 21 B comprises of the President or Vice-President of the Council as the Presiding Officer and two members to be elected from amongst the members of the Council and two members to be nominated by the Central Government from amongst the persons of eminence having experience in the field of law, economics, business, finance or accountancy. The Regulations framed by the Medical Council of India fail to provide for procedures which would ensure unbiased and credible enquiry. In the era of commercialization of medical health care facility, the medical professionals are with impunity violating the Code of Ethics, and the same is more on account of complete apathy of the authorities in setting up a proper regulatory body and the mechanism to deal with the complaint against the erring Medical Practitioners. Moreover, leaving the discretion to a body of only doctors to decide upon the actions to be taken against their own peer group or people belonging to the same fraternity is unreasonable and arbitrary. Indian Medical Register needs a live database so that planners are aware of how many doctors are actually practicing in the country, and how they are distributed across the public and private sectors and across rural and urban areas. A database of the existing faculty is also required to avoid malpractices by medical colleges. The current register also contains names of doctors who had completed their MBBS in 1965 and may have retired or passed away by now, as well as names of those with a permanent address outside India. The MCI must create a proper live database by filtering out such cases. The rules must be purposively interpreted, or even amended, in order to achieve the object of the Act as well as to give effect to the Council. Council is a monopoly of clinicians as the IMC Act does not call for diversity of backgrounds in the members. The primary qualification for a member of the Council is to be a medical practitioner. However if the Council has to perform all of its functions in full measure, it needs the right kind of capacity which can be achieved only by opening Council membership to non-doctors such as educationists and doctors with a good track record of medical education, public health experts and social scientists, legal experts, health economists and quality assurance experts, to name but a few. Having a diverse membership can have the added advantage of reducing the monopoly of medical doctors in the Council, thereby reducing the scope for cronyism and corruption. It is humbly submitted and reiterated that there must be an impartial observer/regulator of the election proceedings. All medical members should possess voting power, and notice of elections should be sent not only to the members of the Senate, but also to all faculty members in order to ensure fair, transparent and uninfluenced elections. Furthermore, a grievance redressal mechanism acting in a time bound manner must be put in place. Conflicts of interest in many cases with members of the MCI being board members of the very medical colleges they are supposed to be regulating, and whose applications they have to decide. Apparently there have been instances when the doctors who own medical college are also appointed as members of the council. This has meant that the MCI cannot effectively and fairly regulate these medical colleges. Therefore, it is important that the persons having conflict of interest must not be included in the Council. 3.0.1 At the end of 4½ years, the need for an independent National Exit Examination is urgent, essential for standardization and is long overdue. Besides theoretical assessment at the end of a professional period, students assessment of skills & clinical competence shouldbe a continuous process throughout the educational programmes by regular weighted objective sessional examinations. 3.0.2 The grades or credits obtained in these must count towards the results of the university final examination at the end of the professional period, with 50% marks for internal assessment and 50% on the year-end external exam. Student feedback must also be taken regarding any improvements in the teaching learning activities. “5.34 The Committee takes note of the fact that the MCI’s assessment of medical colleges is limited to ensuring rigid conformation to infrastructural and faculty norms and an inspection of the five year examination of new medical colleges. The MCI is not involved in any standardized summative evaluation of the final product- the medical graduate-coming out of new or old medical colleges. The final evaluation, and therefore, the final quality of every medical student, is left entirely to the medical colleges/ universities to assess. The Committee is, therefore, of the considered view that an entrance test alone will not do justice to the entire process and there is an urgent need to introduce a common exit test for MBBS doctors, which will go a long way in standardizing the passing out medical graduates and certify the competencies which are expected to be generated out of him. The Committee accordingly, recommends that urgent action be initiated to introduce a common exit test for MBBS doctors as an instrument of quality assurance and to ensure that the qualities and competencies of a doctor before he starts practicing are guaranteed and standardized in terms of various quality norms." Therefore, it is necessary that the recommendation of the 2007 report of the working group of National Knowledge Commission on medical education to set up an independent national exit exam must be implemented.